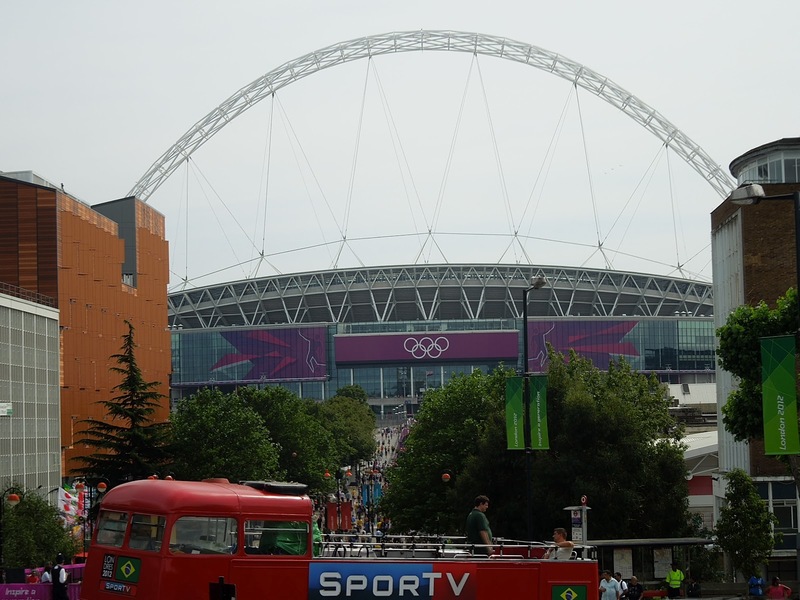 Olympic Gold Medal Football at Wembley? Yes, this truly is a once in a lifetime experience. 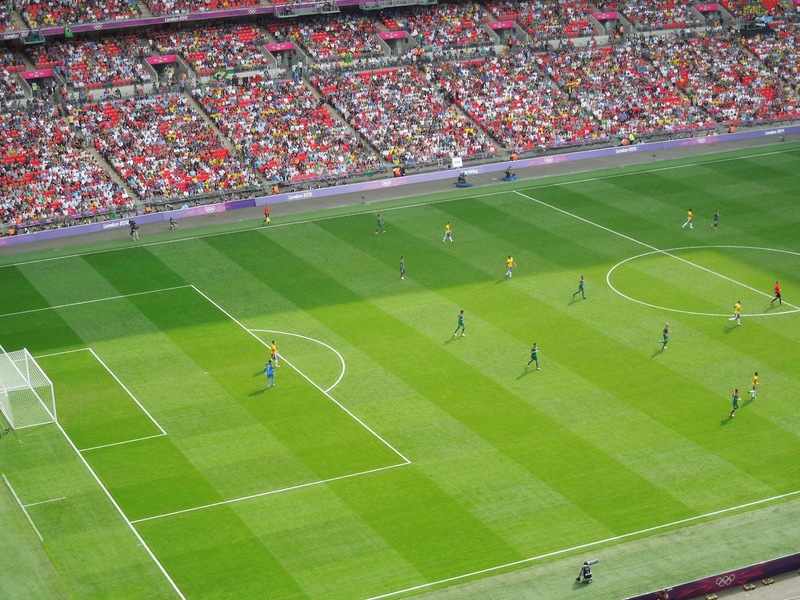 While I’m not a huge football fan, I do love watching a match — I don’t follow any specific team or player though. 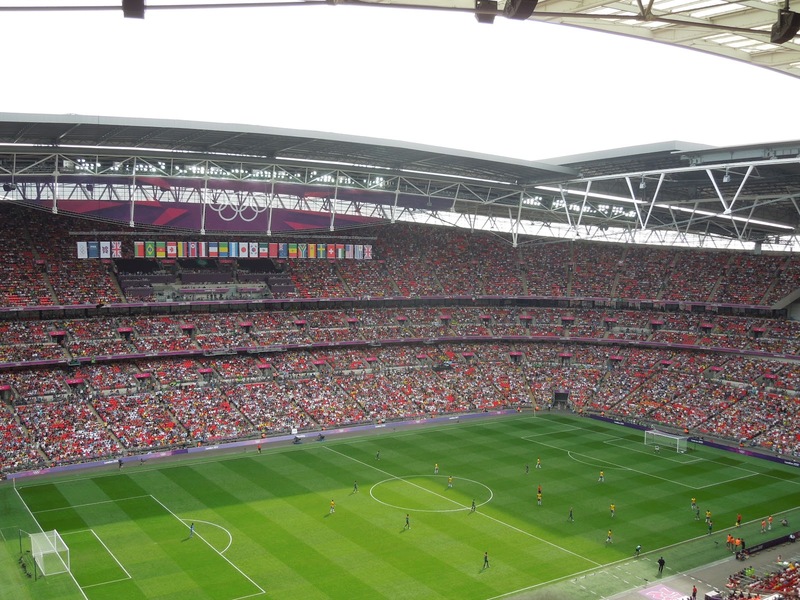 After getting back on the Jubilee Line following my impromptu stop for a beer en route, I made it to Wembley about 5 minutes before the game was to start. I walked by hundreds of fellow football fans, some in costume, others draped in Brazilian or Mexican flags and others, like me wearing jeans and a t-shirt. As I was walking to the stadium entrance a man was yelling that he needed a ticket. He was offering 2,000GBP for a ticket and he had a large wad of cash with him. I thought about selling my ticket (and earning about $3,600USD) for about 3 seconds. I didn’t sell because 1) I flew to London to see this game and 2) I was afraid that I’d sell the ticket, collect the cash then the guy would beat me up and take the cash back and have my ticket. I didn’t want to risk it. 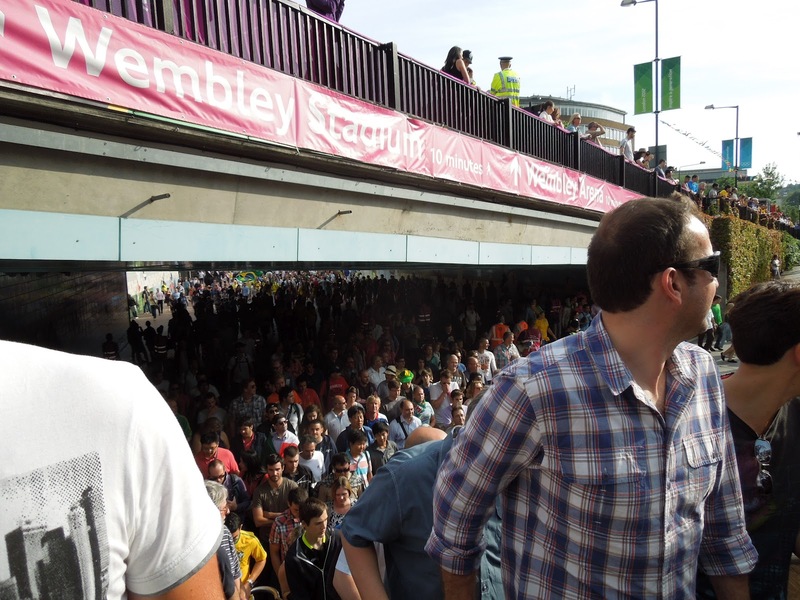 Security was quick and easy – since everyone was already in the stadium. 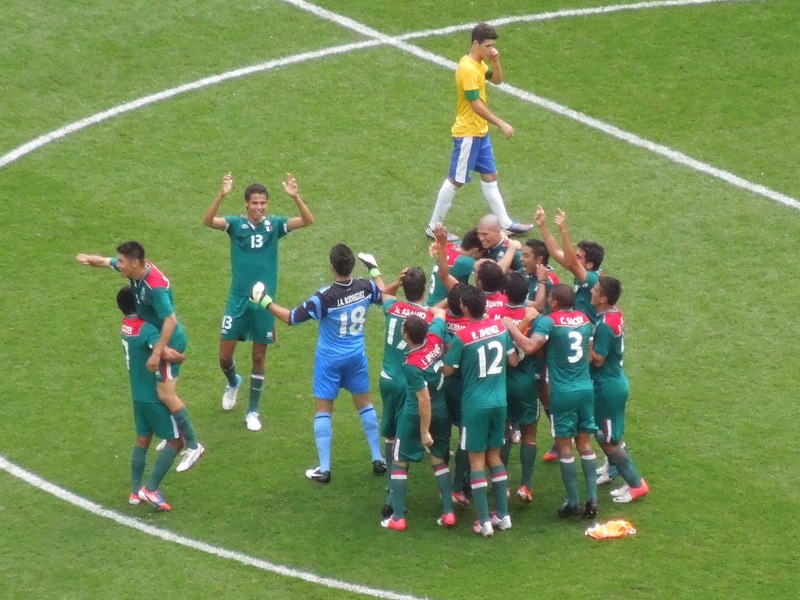 I got to my seat around 15h15 — just after Mexico scored the first goal of the game. Dammit. The stadium was eerily quiet for most of the game. When a goal was made the crowd cheered, briefly, but then went back to watching the match almost in complete silence. So very strange. 90,000. Not a sell out crowd. This game really was a once in a lifetime opportunity, but it wasn’t at all like I was expecting. Why was it so quiet? Was it because there weren’t too many Brazilians or Mexicans in the stands? 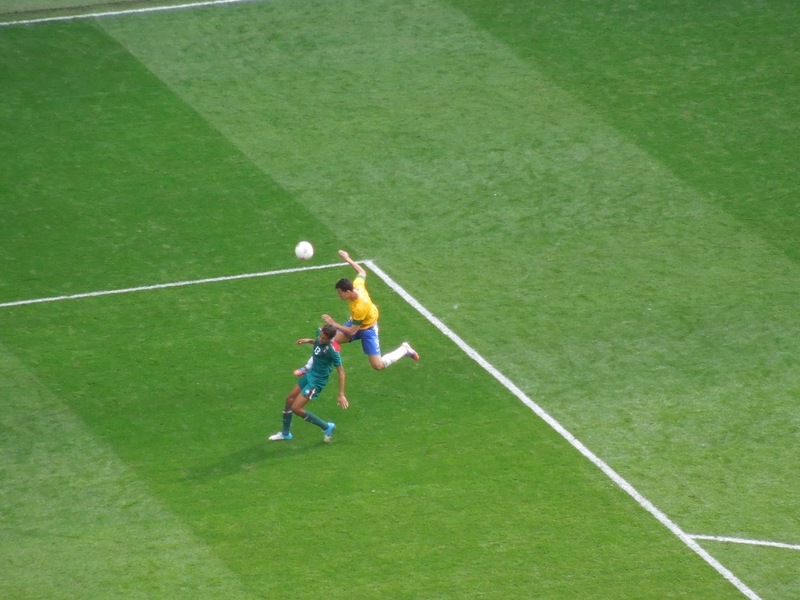 Is this what it is like at all Olympic Soccer Games? Such a great experience too. After the game was the Medal Ceremony. I decided to stay and watch the festivities. It took about 20-30 minutes following the game for the Ceremony to start, then took another 20 minutes just to get through the Bronze Medal Winners. I decided I couldn’t watch this any more. Only 15 hours left in London, let’s get moving. 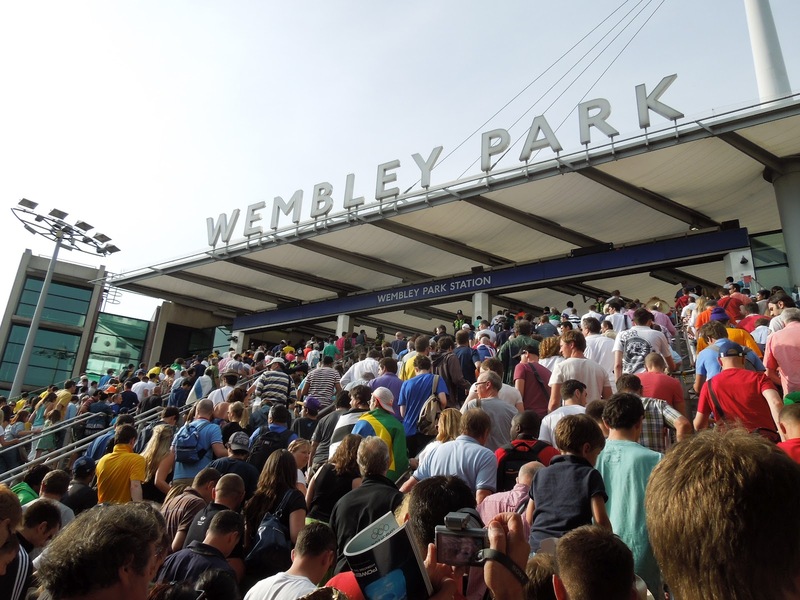 I left Wembley after most people did but there was still a pretty big crush of people at the Tube stop. The whole trek up to the station and the platform was very smooth without pushing and no stopping, we just kept moving at a good pace. On the platform, people would move to the far end and wait for the train. Trains were timed to come every 60 seconds. The train would stay at the station for about 45-55 seconds then move on, full or not. The cars weren’t packed either. It was the model of efficiency today for London Transport. 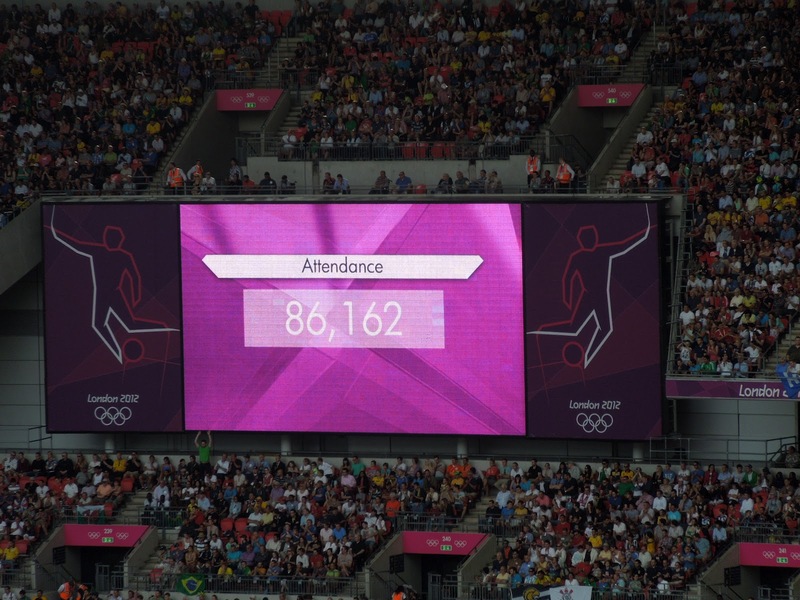 Did you go to any of the Olympic Games this year? What about prior Olympics in other host Cities? Are you shocked at near silent sporting events, like I am? By Tim in Travel on October 1, 2012 .